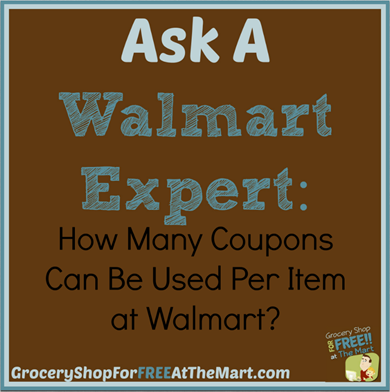 Ask a Walmart Expert: How Many Coupons Can Be Used Per Item at Walmart? 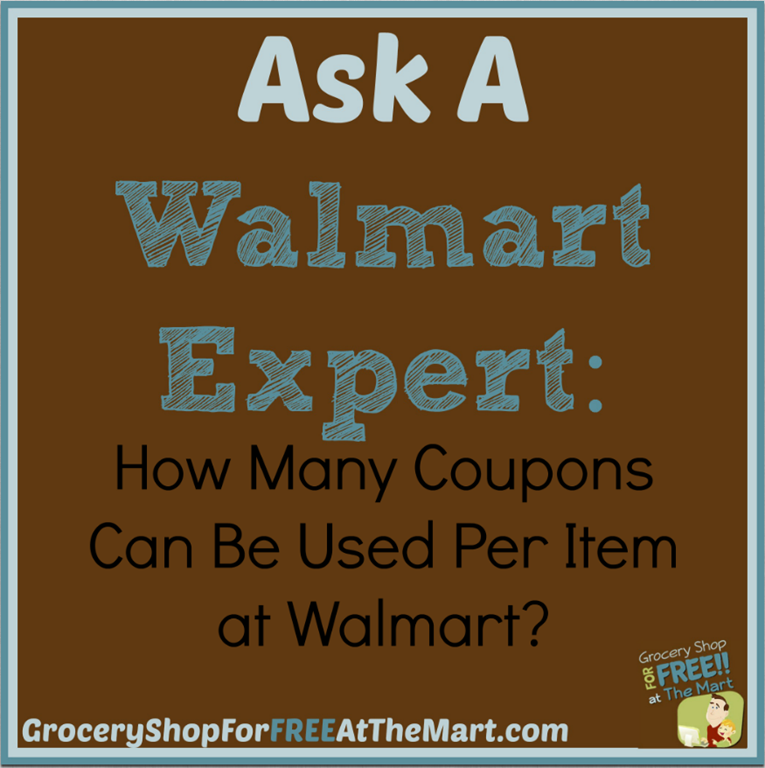 How Many Coupons can be Used Per Item at Walmart? This question come up because there are stores that allow you to “stack” coupons, or use multiple kinds of coupons on a single item. Walmart doesn’t allow this and will only allow you to use one coupon per item but there are ways to get multiple discounts on a single item. The first discount you can get is to find that product on sale at a local retailer for cheaper than what Walmart sales it for. Walmart will price match that item to the lower price. Here are the price match lists I do every week to help with that and here is a link to Walmart’s coupon and price match policies that you need to be familiar with. Once you have price matched an item, then you can use your coupon on top of the already reduced price. Here is a list of printable coupons you can look through. Ibotta is an app that will give a rebate back on certain items. Download the app to your smartphone here and look through the offers. Checkout 51 is just like Ibotta but they have different offers. Download the app to your smartphone here and look through the cashback offers. This is yet another app you take upload photos of your receipts to in exchange for cash and other prizes. This one has no specific offers and they will reward you for any receipt. Download the app here. Once you do all that, there is still a possibility that you can get a rebate back on what you bought. Check this list of mail-in rebates to see if you bought something that qualifies. That is a ton of different ways to save and the best part is that if you bought something that qualifies, you can do each and every one of these on the some product! Of course it has to be a perfect storm to be able to do everything but a few times, we’ve come awful close. Hi, I try several times this past week to match the price of a tide laundry detergent at the beltway 8 n westview location n 290 n Hollister I also try Yale n I 10 but I have no luck they said they are not doing that any more the one by beltway 8 employees are not nice I don’t want to give up but is frustrating specially when people the works in store are not people’s friendly. Unfortunately that happens. There are some stores that no longer ad match so the first thing I would do is to call 800-WALMART and tell them what happened to you and see if they will give you some help.